Isvaiyah has been a licensed pharmacist at Gadjah Mada University (Indonesia) for nine years. She earned her M.Sc. from the same university. Bad breath can happen to the best of us. Do you find your colleagues at work leaning away from you when you talk? Does your partner shrink from being kissed? Maybe you have bad breath (the medical term is halitosis). It may be best to bite the bullet, and ask whether you have bad breath. If the answer is yes, you can set about dealing with the problem. What's the best way to treat bad breath? 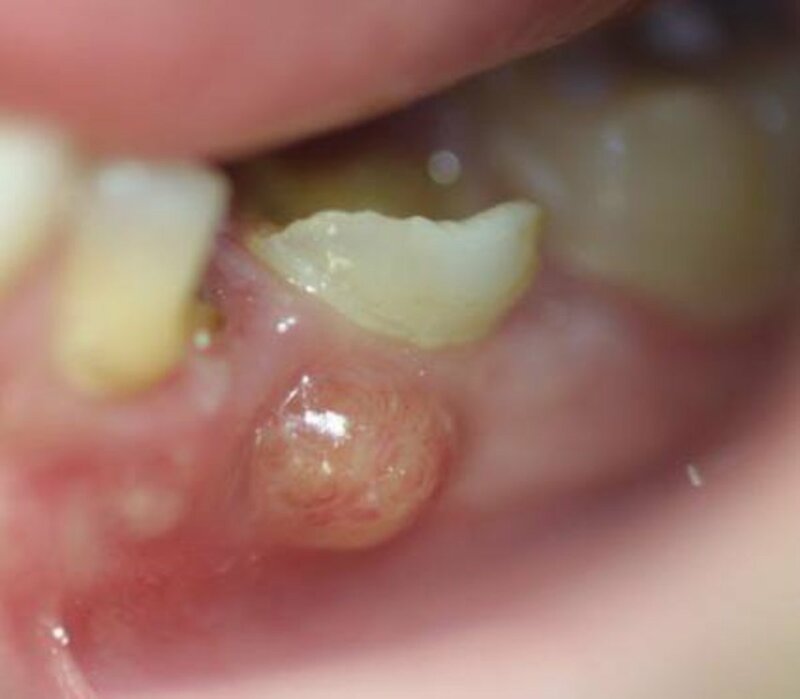 Sometimes it can be a sign of gum diseases, but if your dentist says your gums are okay, you’ll need to look for other remedies. You may want to try changing your eating and drinking habits. Bad breath (the medical term is halitosis) is not a life-threatening condition, but it can take a toll on your self-esteem as well as your social activities. 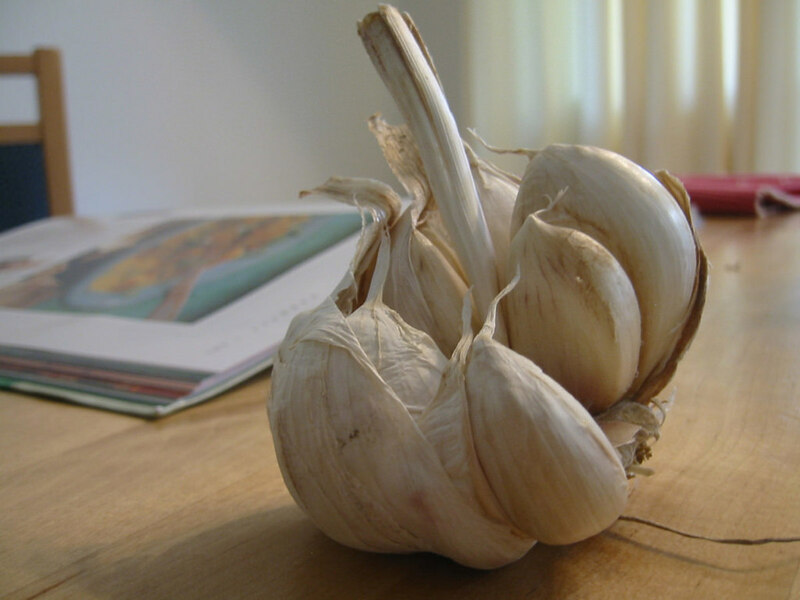 Onion and garlic are frequent causes of bad breath. They are particularly noticeable to those who haven’t eaten them. Cut these out of your diet as far as possible. Heavy use of alcohol can also cause bad breath, so cut down on your drinking. Smoking is another common cause of bad breath, so quit smoking. There are many products, such as nicotine patches, available to help smokers quit. Crash diets and low-carb diets can also cause bad breath. Avoid fad diets—and just consume a sensible, balanced diet, with plenty of fresh fruit and vegetables, but without too much sugar or fat. 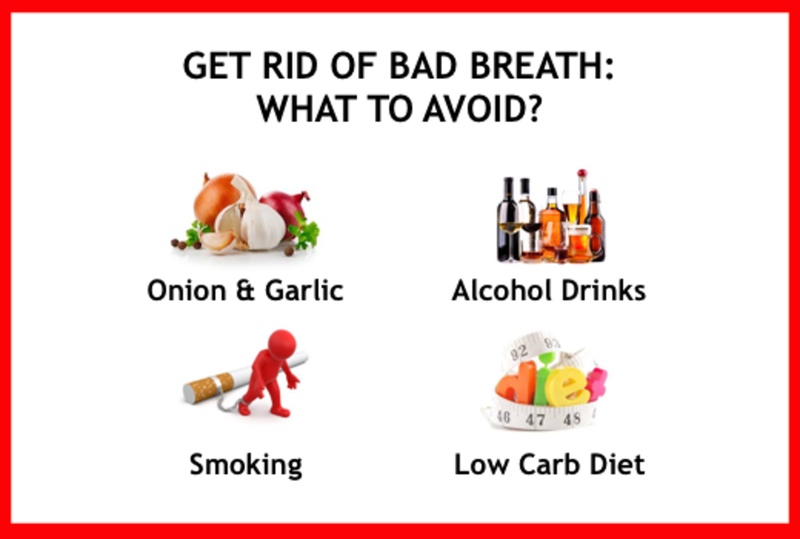 Many effective ways to get rid of bad breath. 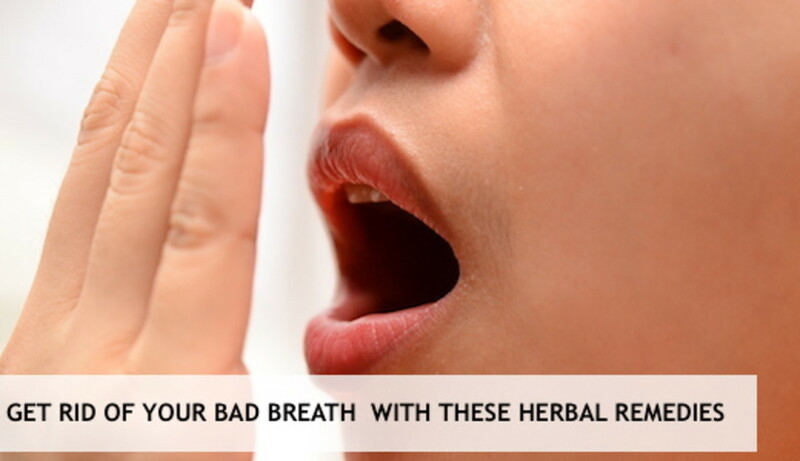 If your gums are healthy, and if changing your diet doesn't work, you may wish to try a home remedy for bad breath. If symptoms persist, consult a physician, since the halitosis may be a sign of a more serious underlying condition. Chew a sprig after a meal or make a tea. Chew the seeds after a meal or make a tea. Pregnant women should avoid taking fennel seeds. Chew on a cinnamon stick after a meal or make a mouthwash. It is fine to use cinnamon as a mouthwash or eat in small amounts. Have a cup after a meal. 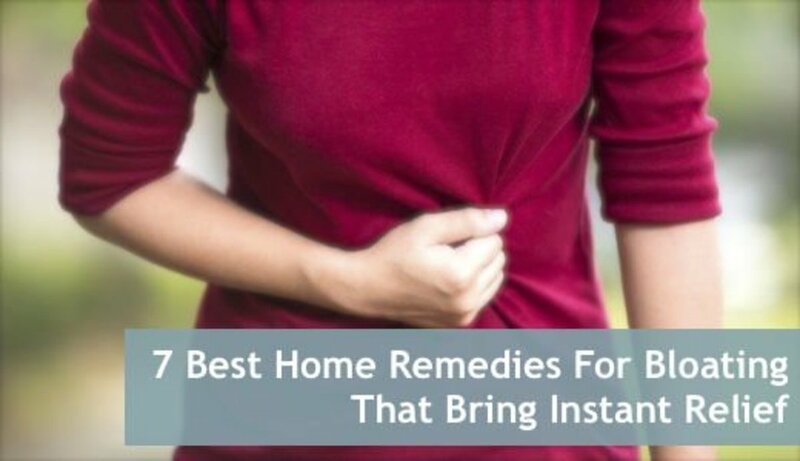 Avoid this remedy if you have a GERD (acid reflux) complaint. 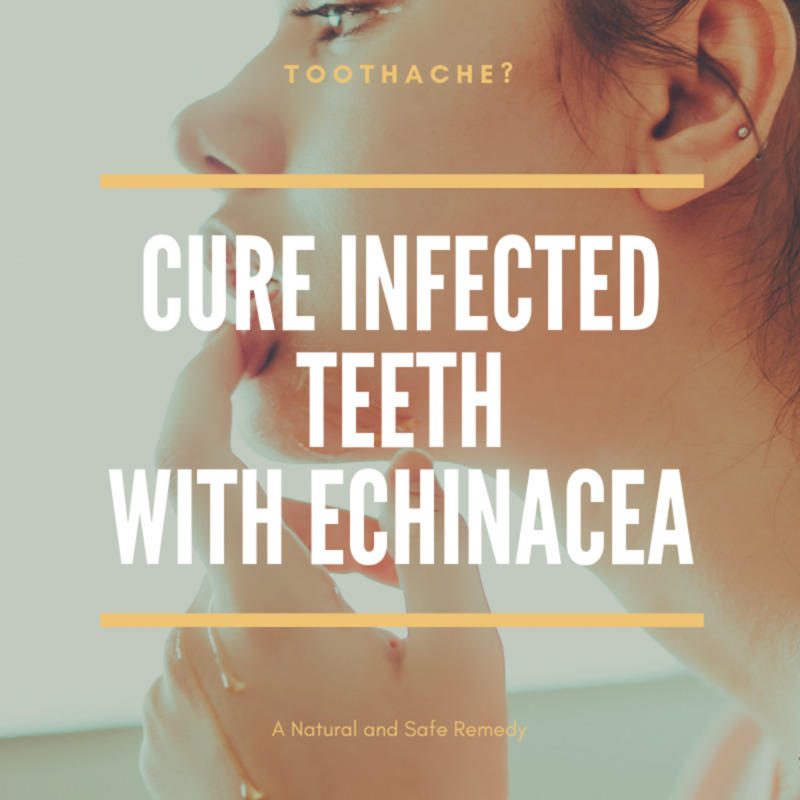 Chew cloves after a meal or make a mouthwash. It can be harmful if large quantities, so keep to relatively small amounts. Make a strong tea from the seeds. 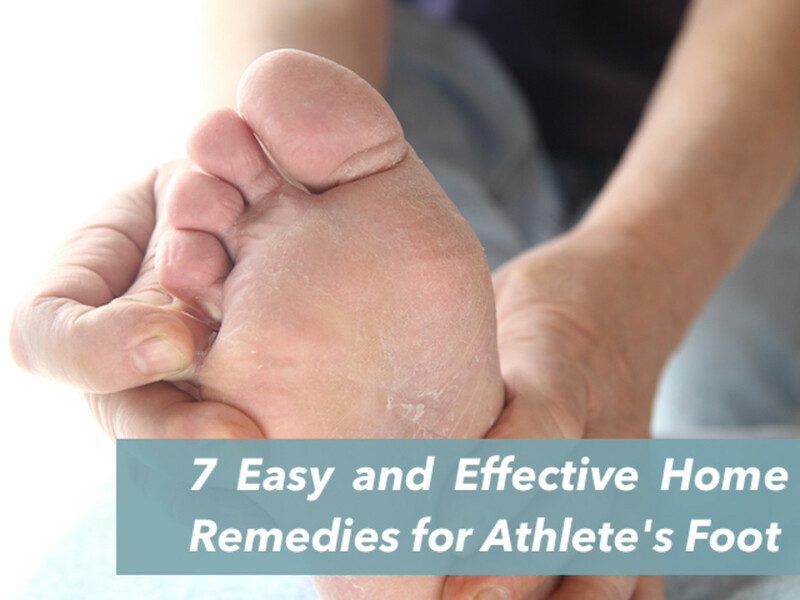 Avoid this remedy if you are allergic to it. More detail and supporting information is in the main article. Parsley is a traditional home remedy for bad breath. Chew a sprig after a meal. Most people prefer the flavor of the flat leaf parsley (Italian parsley) to the curly leaf variety. It is believed that the chlorophyll in parsley may help to neutralize bad odors. Parsley also contains a number of healthy antioxidant compounds, and it is a good source of vitamins A, C, and K. So there are many good reasons to eat parsley. You can also make a strong tea from parsley leaves, which can be either be drunk hot or cooled and used as a mouth wash. Parsley is a safe herb to eat, but pregnant women should avoid eating large quantities. It’s easy to grow your own parsley, either outdoors or in a fairly deep pot on a sunny window sill. Sow the seeds in spring. The seeds take a long time to germinate, so be patient. The common fennel plant, scientifically called Foeniculum vulgare, produces copious seeds with an anise flavor. Not everybody likes the flavor of fennel, but if you do it is definitely worth trying as an antidote to halitosis. Try chewing the seeds after a meal; they can eliminate bad breath and also help your digestion. You can also drink a cup of strong fennel herbal tea after a meal (tea bags are commercially available from a number of suppliers). The fennel plant is native to Europe and Asia, where it is easily cultivated from seed. Although you can grow your own fennel in the United States, this plant is classed as a non-native invasive species in many states, so it’s best not to do so. Cinnamon (Cinnamomum verum) contains a strong-smelling compound known as cinnamaldehyde, which has antifungal and antibacterial properties. How to Use Cinnamon as a Bad Breath Remedy? You can try gently chewing on a cinnamon stick after a meal, but take care not to damage your teeth. You can also make a refreshing cinnamon mouthwash. Boil cinnamon powder in water, allow the liquid to cool, filter of the powder, then use the liquid to rinse your mouth. Use this mouthwash twice a day. A Warning Word: Eating large quantities of cinnamon can be harmful, but it’s fine as a mouthwash, or when eaten in small amounts. Both black tea and green tea are useful natural bad breath remedies. They contain polyphenol compounds that tend to inhibit bacterial growth. Have a cup after a meal, rather than your normal coffee. English or Indian people are normally quite happy to talk at length about the different varieties of tea and how best to prepare them, if you need some advice. Some herbal teas, such as sage tea, are also good for bad breath, although the strong taste does not appeal to everybody. Cloves are another useful spice that you can use as a herbal remedy for bad breath. You can chew cloves after a meal to freshen the breath. You could also try making a mouthwash with cloves: boil them with water for 10-15 minutes, allow to cool, filter off the cloves, and use as a mouthwash. NOTE: Cloves contain the compound "eugenol," which has anti-bacterial properties. Eugenol is fine in small doses, but can be harmful if large quantities are eaten. Make sure you keep to relatively small amounts. Fenugreek (Trigonella foenum-graecum) is an annual herb, grown in many countries, such as India, for its seeds and leaves. You can make a strong tea from the seeds by boiling them in water, then filtering them off. The smell is somewhat similar to maple. It’s possible to grow your own Fenugreek. Simply sow the seeds in spring, in a sunny position and fertile soil, when all danger of frost is past. 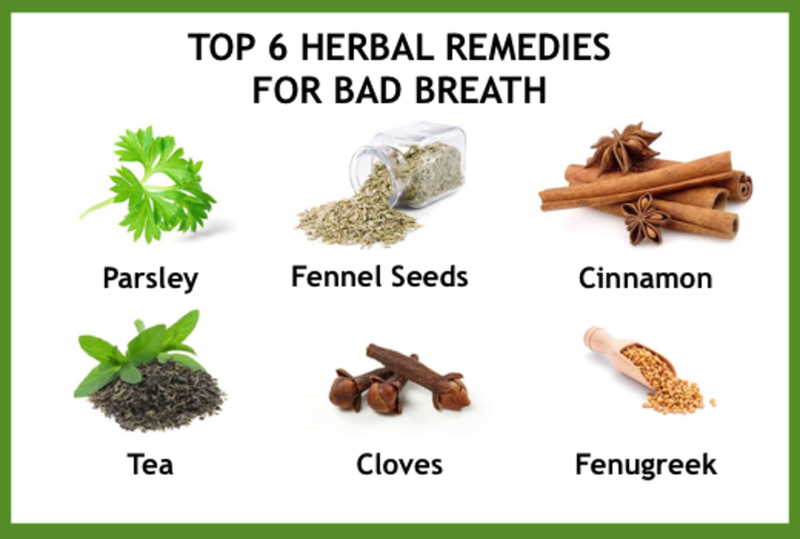 Natural remedies for bad breath that may bring all the relief you need. Chewing gum is a favorite home remedy for bad breath. Always choose sugar-free gum, so you do not end up with tooth decay or gum disease, which will only make matters worse. Sugar-free mints can also be used. Carry a little container with you, so you can chew a mint when needed. Baking soda (sodium bicarbonate) is another great remedy for bad breath. 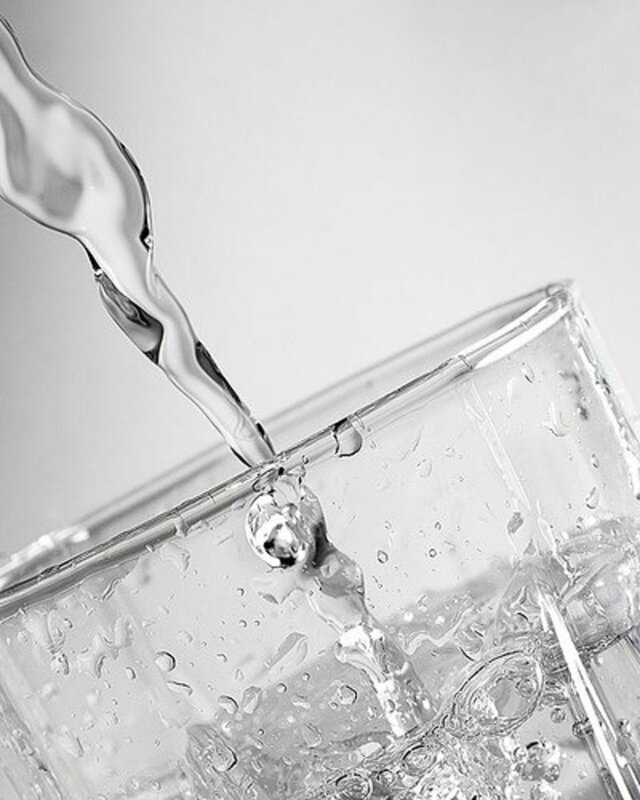 It is best used as a mouth wash. It’s a mildly alkaline (basic) substance, which can neutralize any acids in your mouth, making both bad breath and tooth decay less likely. Dissolve about half a teaspoon of baking soda in a glass of water and then rinse your mouth thoroughly. Rinse every day; gradually your breath should dissipate. Thanks a lot, SakinaNasir53! Have a nice day!